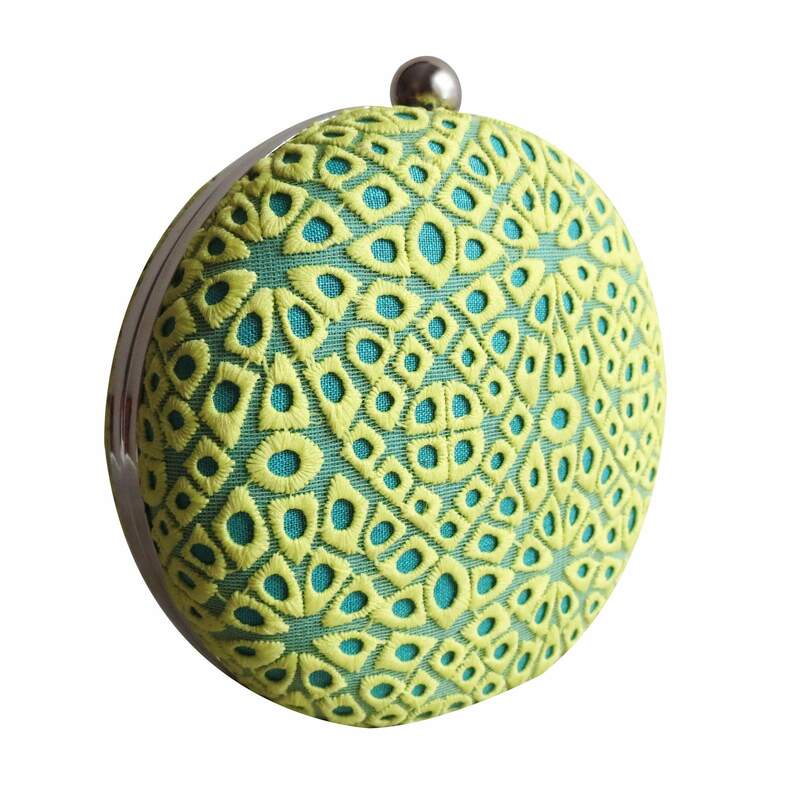 Adorn the vibrant Lemon 'Citrus' Minaudière, in attractive shades of yellow and teal to add freshness and style to your outfit this summer season! Optional silver chain. Handwork on both sides. 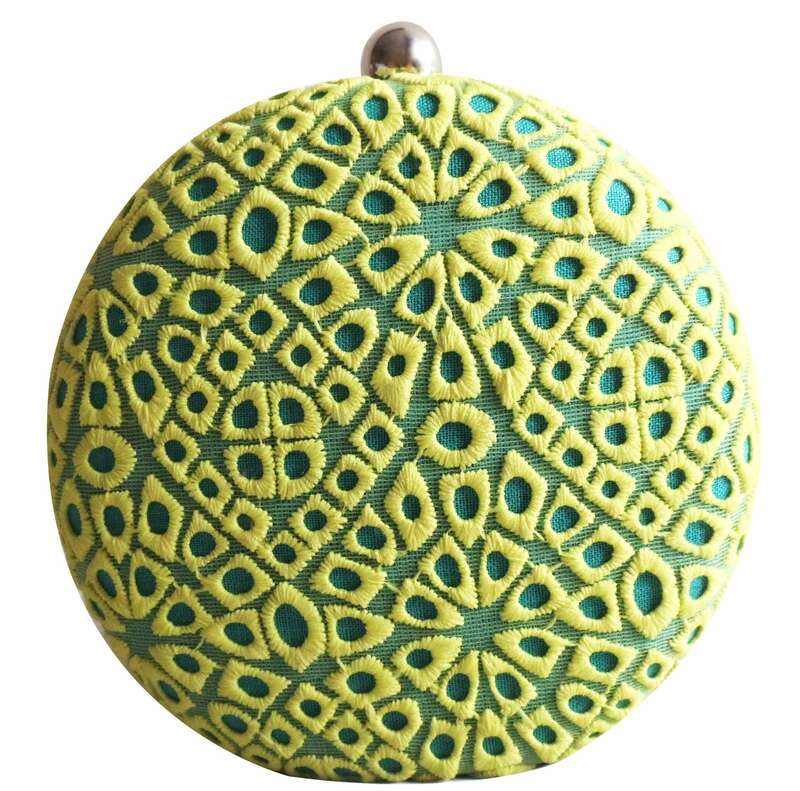 MATERIAL: cutwork fabric, poly - dupion teal lining (Inner lining is subject to change), Silver frame with round/tablet clasp.